BIRMINGHAM, Ala., Feb. 16, 2018 /PRNewswire-USNewswire/ -- Warrior couples from across the nation recently attended a Wounded Warrior Project® (WWP) mental health workshop at Historic Banning Mills in Whitesburg, Georgia. These gatherings are often the first time warriors leave their homes to connect with others in their communities. Veteran couples from across the United States gathered for a Wounded Warrior Project mental health workshop at Historic Banning Mills in Whitesburg, Georgia. "I don't sleep very well – sometimes for several days," said Antoine Perrier, U.S. Army wounded warrior from the Birmingham, Alabama area. "I have more bad days than good days. I make efforts to live what I consider a normal life, but it's met with many physical and mental challenges. It causes marital issues, most of which we're trying to work through after attending the Wounded Warrior Project mental health workshop for couples." Through the generous support of donors, WWP offers veterans specialized mental health programs and services – tailored to each warrior's specific needs and free of charge. WWP and its supporters believe warriors already paid their dues on the battlefield. One program is its multi-day mental health workshops (https://www.woundedwarriorproject.org/programs/combat-stress-recovery-program/project-odyssey) that are offered as all-male, all-female, or all-couples. These workshops provide safe, private environments for warriors to express themselves and share their combat experiences. WWP staff incorporate local activities in a recovery model that allows warriors to be vulnerable to the unknown and identify and work through anxieties together. 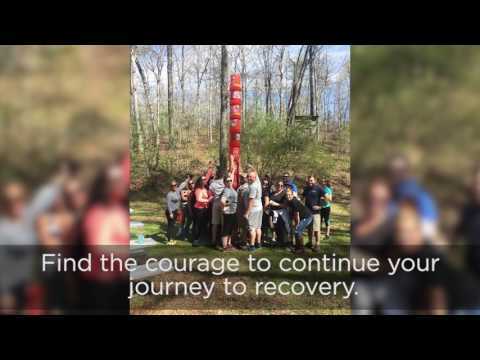 By the end, warriors share lessons learned from the activities that impacted their personal struggles most and set achievable goals for their recoveries. "My wife had an opportunity to be among other spouses dealing with similar issues in their marriage with their warrior spouse. I believe that was key to being more open to actively participate in the workshop. These couple workshops provide you with the tools to save a marriage, rekindle the fire in a relationship and seek a better understanding of your significant other. It works. Give it a try. You won't regret it." To learn and see more about how WWP's mental health workshops connect, serve, and empower wounded warriors, visit http://newsroom.woundedwarriorproject.org/, and click on multimedia.